LoyarBurok is 3,000! This is our 3,000th published post since His Supreme Eminenceness Lord Bobo Barnabus mind-controlled his first minion on Earth. But don’t worry, we don’t feel old — after all, they say 3,000 is the new 4,000. You can read our previous columns about our first 1,000 posts and 2,000 posts — there are lots of good links and interesting pieces of history there, so get comfortable. Syahredzan Johan’s explosive “We are Malay-Muslims, We are Entitled” (1 August 2012). Shockingly, no police reports were lodged. They weren’t that much in fashion then. Marcus van Geyzel’s reflective “What Now, Malaysia?” (6 May 2013), written in the immediate aftermath of the momentous GE13 which Malaysians were so absorbed in for months. Amelia Tan’s “To My Dearest BN Supporting Friends” (2 May 2013), written just before GE13. Marcus van Geyzel’s “Bersih: The Perfect Assembly, Almost” (30 April 2012) documenting his experience of Bersih 3.0 — our theory is that Marcus craftily writes about the most popular issues to get the most hits! Hafidzi Razali’s “Rise of Baby Dumping in Malaysia” (31 July 2012), about a truly troubling issue. We had loads of other highlights, of course, both on and off the blawg. Pusat Rakyat LoyarBurok aka the Malaysian Centre for Constitutionalism and Human Rights (MCCHR) continued to connect with communities, host events, conduct their UndiMsia! and IdolaDemokrasi gameshops around the world, run #UndiMsiaChats, and raise awareness of many important issues. 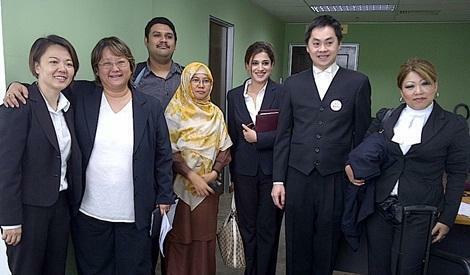 Some of LoyarBurok's strategic litigation lawyers. LoyarBurok’s Strategic Litigation lawyers were also kept extremely busy with their involvement in many notable human rights cases. 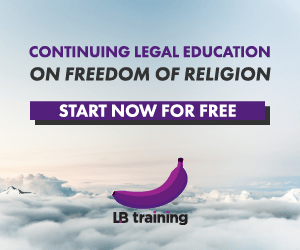 There was good news in the area of freedom of expression: the Court of Appeal upheld the decision of Ariff Yusof J (now JCA) in quashing the ban on the Sisters in Islam book. Read MCCHR intern Suki Prem Kumar’s take on the decision here. However, the failure of K Arumugam to lift the ban on his book March 8 was a source of much misgiving to Rayner Yeo. The Court of Appeal also upheld the landmark decision by Abang Iskandar J (now JCA) declaring that the ability to print a newspaper was a right protected by the Federal Constitution and not just a privilege — a story that made it to the New York Times. Sadly, another strategic litigation case involving the four transgendered women in Negeri Sembilan challenging prosecutions against them (also featured in the New York Times) was not so successful, and is now pending appeal in the Court of Appeal. LoyarBurokkers waded in on a hot issue involving the Bar Council and the Malaysian Bar — an accusation that they were pro-Opposition arising from their approach to the police brutality at Bersih 3.0. Eight LoyarBurokkers issued a statement “Fallacies Spun by Critics of the Bar” (22 May 2012), and the issue also attracted Syahredzan Johan’s “Bar Detractors Just Shooting Messenger” (23 May 2012), and a response from the original writer, Roger Tan: “Roger’s Answer to LoyarBurokkers” (23 May 2012). The Ask Lord Bobo column continues to go strong, having moved from the Selangor Times to The Malaysian Insider. As always, Lord Bobo shares his considerable super-intelligence with the general public. ALB has even led to Lord Bobo making a debut in Utusan Malaysia, as some over-excitable folk called for Lord Bobo to be punished for insulting the Agong! Fahri Azzat showing what he wears on dress-down rainy days. Of course, those cheeky minions also got up to all sorts of frivolous things. Edmund Bon was was the subject of #AskEB by The Star — and he also got many people excited on the campaign trail in the lead-up to GE13. 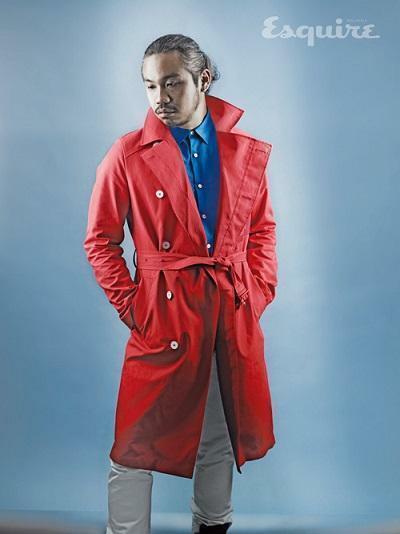 Some LoyarBurokkers were decked out in expensive designer wear for a fashion spread in Esquire Malaysia. LoyarBurok was also featured in TimeOut Kuala Lumpur, including a longer supplemental online feature. It’s impossible to summarise everything of course. There was lots of controversy, superb opinions, fiery views, intellectual comments, legal analysis, laughs, drama, and love. Here’s looking forward to 4,000. Free Your Mind!